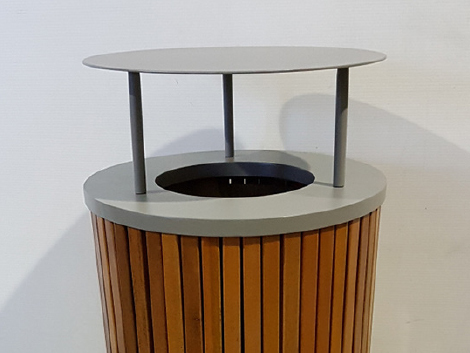 The popular Bronte Bin is a round hardwood slatted bin with a grey powdercoated lid and base. 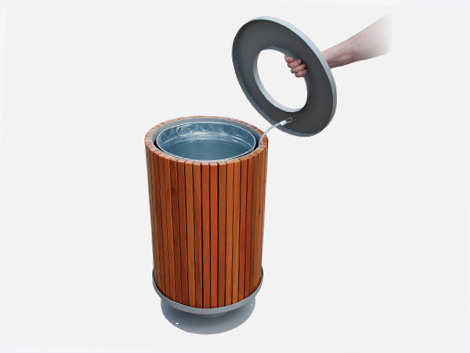 To remove galvanised liner, simply lift the friction fit lid that is attached with a stainless-steel cord. 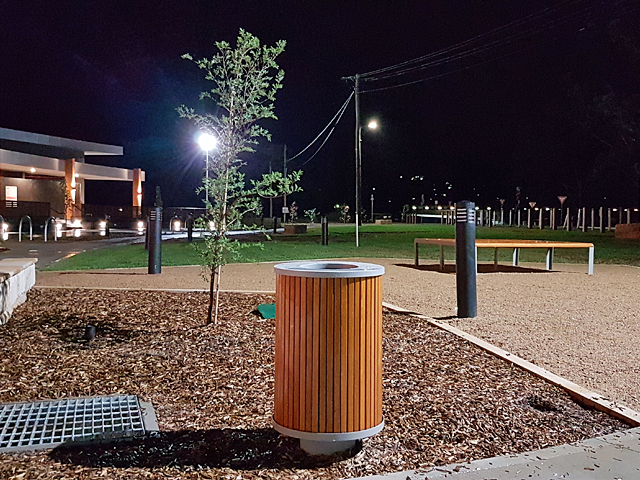 This bin can be bolted down or loose mounted. Other powdercoat colours are also available made to order. 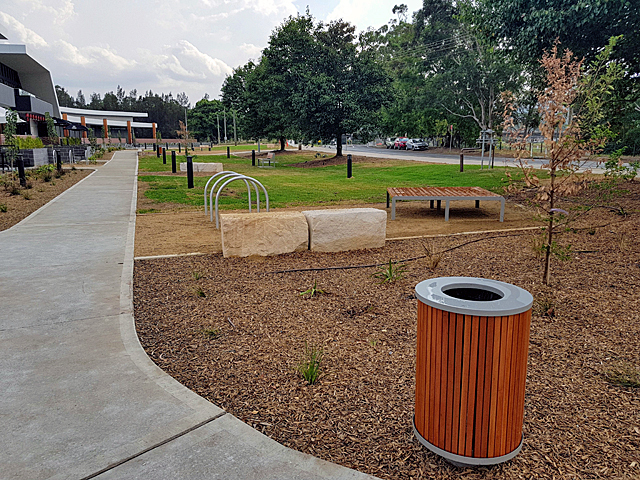 With a capacity of 60L, the size of this bin is 420 x 750(H)mm. 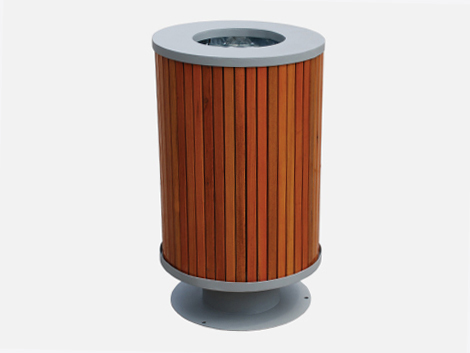 A bolt-on cover is available to help guard against unwanted birds – purchased separately. 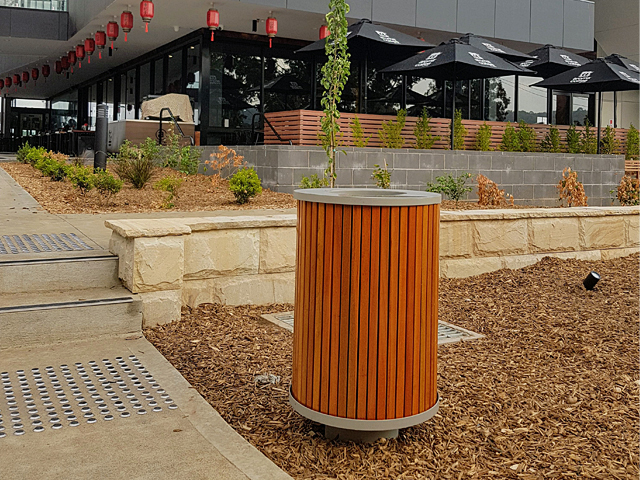 The Bronte Bin is colour coordinated with the broad AS Urban timber slat furniture range including seating and picnic settings such as the Arcadia Series, Miami Series, Portland Series and the Silverdale Series. 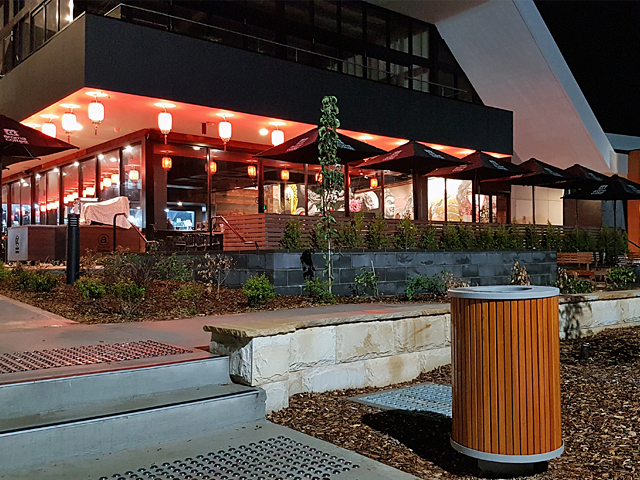 The heavy-duty grey powder-coated top and base frame also matches our perforated steel seating range, such as the Spencer Series seats and spencer series picnic settings.